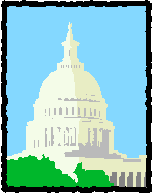 A markup that was scheduled this week for the House of Representativesâ€™ FY 2014 Labor, Health and Human Services, and Education (Labor-HHS-Education) appropriations bill, which includes Perkins funding, has been postponed by the House Appropriations Committee until further notice. Earlier this month, the Senate Appropriations Committee approved its Labor-HHS-Ed bill, which would restore Carl D. Perkins Career and Technical Education (Perkins) funding to pre-sequestration levels. The Senate bill provides a $3.52 billion, or 5.4 percent, increase for discretionary education spending compared to FY 2013. In stark contrast, the overall funding level for the approved House Labor-HHS-Ed bill is 19 percent below current funding levels and is expected to contain deep cuts to many programs. Experts project that, due to disparate proposals from each chamber, the FY 2014 appropriations process will not be easily resolved. Congress is required to pass a funding measure by the end of September. Please take the opportunity to contact your Representative to let them know why Perkins funding needs to be maintained and how it would impact Career Technical Education (CTE) programs across your state and district. This week, Senators Patty Murray (D-WA), Lamar Alexander (R-TN), Tom Harkin (D-IA), and Johnny Isakson (R-GA) officially introduced bipartisan legislation to reauthorize the Workforce Investment Act (WIA). The Workforce Investment Act of 2013, or S.1356, contains some positive elements for CTE, including prioritization of career pathways and programs that lead to industry-recognized credential and high-demand jobs. Unfortunately, the bill also proposed to fund One-Stop infrastructure and other activities from state allocations of One-Stop partners. While only postsecondary Perkins programs offer training services as partners in the One-Stop system under WIA, Perkins funding supports both secondary and postsecondary CTE programs with individuals deciding how to split overall funding between secondary and postsecondary CTE. The bill proposes a 1.5 percent contribution, or $17 million overall, that would come from Perkins administrative funds, and would result in a 30 percent cut to the administrative funds that are available to most states. This has been a longstanding issue and will likely continue to be a sticking point as WIA reauthorization progresses. NASDCTEc provided input to the committee on this issue prior to the release of the bill, and we will continue to work with committee staff to address this significant issue. Please contact your Senators to let them know how the One-Stop infrastructure proposal would negatively impact CTE in your state. Ask them to oppose this method for supporting WIA infrastructure and, instead, to carve out administrative funding in WIA to pay for its own infrastructure. The Senate Committee on Health, Education, Labor and Pensions has scheduled a markup of the WIA bill next Wednesday. The Senate passed a bill this week that would allow students to lock in currently low interest rates on student loans. In future years, fixed rates would depend on current market conditions. The Bipartisan Student Loan Certainty Act, or S.1334, passed by a vote of 81 to 18 and will next go to the House for approval. Of interest for CTE stakeholders, Senators Patty Murray and Al Franken (D-MN) introduced an amendment that would, in part, restore the Ability to Benefit provisions of the Higher Education Act for certain students enrolled in evidence-based career pathways programs. While the amendment was not included in the final version of the Senate bill, there is opportunity for it to resurface in the upcoming reauthorization of the Higher Education Act. Last week, the Senate voted to confirm President Obamaâ€™s pick for labor secretary, Thomas Perez, on a party-line vote of 54-46. Prior to this role, Perez served as Assistant Attorney General for the Civil Rights Division of the Department of Justice. As labor secretary, Perez replaces Hilda Solis, who held the position from 2009 through January 2013. This entry was posted on Friday, July 26th, 2013 at 1:38 pm	and is filed under Legislation, News, Public Policy. You can follow any responses to this entry through the RSS 2.0 feed. Both comments and pings are currently closed.